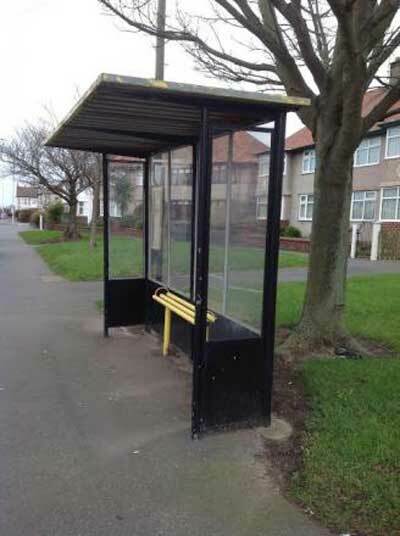 Pensioners trying to prevent the removal of a bus shelter in Wallasey, Merseyside, have been told it has to go because it fails to meet criteria set out in the Equality Act. Merseytravel have placed notices in the shelter on Belvidere Road announcing their intention to scrap it and replace it with a bus pole. They say their notice has already sparked "a considerable response." The plan has upset many nearby residents - and their objections have been taken up by ward councillor Leah Fraser. She has written to the public transport organisation saying: "I have been made aware of the notice at this bus stop indicating you are considering removing the shelter and replacing it with a pole. This would cause considerable hardship, and I don’t use the word lightly, for many elderly people who regularly use the shelter. Several of them have contacted me to say they are very upset and as I live nearby myself I can understand why. Belvidere Road is quite open and at times is a very bleak, cold and windy location. "Within Wallasey over the years there have been a number of shelters where glass has been damaged by yobs and replaced - yet in this location vandalism has never been an issue. So I am surprised that in an area of older residents, they are expected to be sheltered by a pole. There is nowhere else for people to shelter at all. Could you please tell me the reason behind this proposal?" A pensioner who asked not be named said she often uses the bus stop and has contacted Merseytravel to object. She said: "Considering most of the passengers waiting there are elderly it would be an awful loss. I'd love to see these idiots explain how this bus shelter breaches the Equalities Act. There are thousands of shelters exactly like that one across the country which apparently don't breach the Act, indeed there are dozens if not hundreds in that area. Oh well, I suppose it makes a change from council officers blaming Health and Safety regulations for every arbitrary decision. I completely agree with you, Gareth. The whole thing is beyond my comprehension.